The first part of your sight to be affected by glaucoma is your side (or peripheral) vision. But you might not notice you're losing your vision until it's quite advanced, especially if you have the most common type of glaucoma. have eye damage from diabetes or high blood pressure. The best way to prevent glaucoma damaging your sight is to have regular eye examinations. Glaucoma is often picked up during a routine eye examination before you've noticed any symptoms. We can't prevent glaucoma, but if we pick it up early, we can treat it before it affects your vision. It's best to get a regular eye examination from an optometrist or ophthalmologist, although you'll have to pay for this. How often you should have an eye examination depends on your circumstances. If you have a parent, brother or sister with glaucoma, have an eye examination every two years after you turn 40. If you're aged 40 to 60, have one at least every five years. If you're over 60, have one at least every three years. If you've had a significant eye injury, have an eye examination every year for the rest of your life. 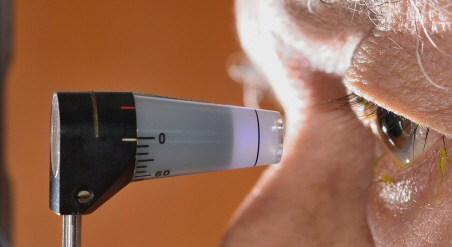 If you use steroids regularly, make sure you have an eye check once a year. Regular eye examinations can help to make sure you'll be diagnosed and treated early if you have glaucoma or another sight-threatening condition, such as macular degeneration. Written by Canterbury optometrists. Adapted by HealthInfo clinical advisers. Endorsed by clinical director, Ophthalmology, Canterbury DHB. Last reviewed April 2018. Last updated October 2018.